Education is at the very core of Metropolis Spa Salon — it is a commitment of technical excellence from our staff, and is reflected in our work. The education program at Metropolis is a rigorous curriculum that prepares our apprentices for success in the highly competitive world of hairdressing. Classes are taught by the owner, Theresa, as well as guest educators and Master-level stylists at Metropolis. Your participation as a model not only allows you to receive a professional salon service, but helps build a portfolio for each our of apprentices. Models are needed for both hair cutting and coloring, and we ask that each model be open to photographing his/her new look. 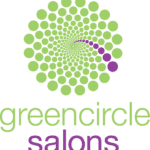 Examples of services include: One length bob, layered bob, graduated bob, short haircut, long layers haircut, long layers with bangs, men’s cuts. Using the form below please tell us more about yourself, including hair length, color/chemical history, hair texture, and what service (color or cut) you would be interested in. Please attach two photographs of yourself with your hair clearly visible.